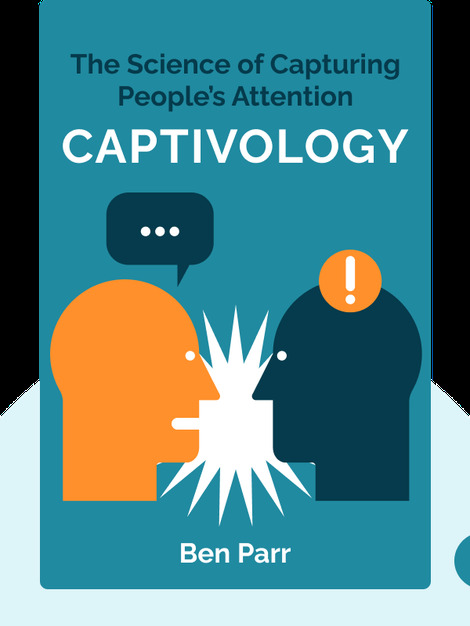 Captivology (2015) shows that, in our modern world of rapidly proliferating information, attention is a scarcer and therefore more valuable resource. Knowing what drives our attention, however, and being aware of how we direct it, can help us reclaim this resource. 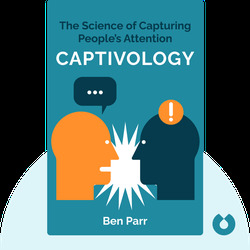 Based on scientific research, the author reveals techniques for drawing people’s attention to any project, idea or message. Ben Parr was a co-editor and editor-at-large at Mashable and a columnist for CNET. He is the co-founder and managing partner of venture-capital firm DominateFund. In 2012, Forbes named Parr one of its 30 Under 30.